However you spell it – Setter, Sitter, Seder/Cedar, Seiter – in early Sanilac county we all track back to areas in Alsace, a unique area on the westbank of the Rhine, on today’s French-German border. This page is a collection of my theories and findings. Between the years 1836 -1847 three sons of Johann Nicolas Seither (1768-1820) and Barbara Sifferman left their home in Alsace, France for territories in Ontario, Canada, settling in and about Haldimand County. SON: Niclaus Sitter (1797-1844) & Maria Barbara Phillips were married 1791 in Zilling and emigrated in 1837 to Rainham Twp, Haldimand County, Ontario. Jacob Sitter married Mary Kalar in 1856 in Haldimand County. In 1861 they purchased 320 acres in Argyle Twp, Sanilac County. SON: Johann Peter Seiter (1806-1868) and Barbara Zerr were married about 1841 and emigrated in 1848 to Oneida County, New York. SON: Johann Jacob Sitter (1807-1885) and Catharina Klein were married in 1836 and emigrated in 1847 to Haldimand County, Ontario. Nicolas Setter married Elizabeth Tuer in 1861 in Haldimand County and emigrated in 1882 to Flynn Twp, Sanilac County. Peter Sitter married Jane (Unknown) in 1867 in Haldimand County and emigrated before 1880 to St. Clair County. He remarried in 1901 to Mary Katherine McKeith and moved to Brown City, Maple Valley Twp, Sanilac County. Valentine Sitter married Almeda Weaver in Ontario and eventually divorced. Valentine and their children emigrated to Maple Valley, Sanilac County before 1900. Catharine Sitter married Thomas Nichol in 1873 in Ontario and emigrated to Maple Valley, Sanilac County in 1887. Jacob Sitter married Maria Anna Forsyth in 1876 in Ontario and emigrated to Melvin, Speaker Twp, Sanilac County in 1887. I was surprised to learn that my “city-family” was farm bred and raised. I was completely uninformed (more likely just a bad listener). Over the years the garden called me back, it’s tendrils enwrapping me, luring me back to the soil. I loved it and practiced growing in my small spaces: garlic, herbs, tomatoes, peppers, squash, more herbs and finally flowers. But that’s about me personally – this article is about our roots of another kind. The Setter/Seder/Sitter/Seither family traced back to 1610 in areas of Alsace. But what about before that? Alsace is a unique area – a unique language that has it’s roots in the Allamanni Tribe. 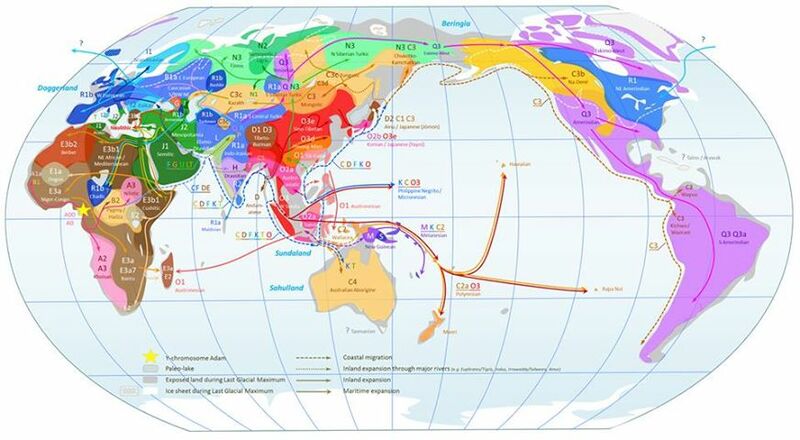 Were our ancestors of the tribe or some other migration? I wanted to know more. We had the Y-dna test conducted through Genographic (National Geographic study); results shared with Family DNA; and then added to an on-going study that continues to drill down the various clades. Our search is based on discovering migrational routes. The Setter/Seder/Sitter/Seither line are members of the G Haplo group. And guess what? G is known mostly as the farmers of neolithic revolution of Europe, hailing from the fertile crescent. It’s also one of the smallest haplo groups. To find it, locate the small orange G in the caucuses. Being small doesn’t make it easy. From the early Neolithic period, G2a moved with a variety of other groups making it difficult to pinpoint their path except that further identifying their ‘clade’ we can make educated guesses. What’s known so far is that G2a appears to have moved into Europe after leaving (possibly) Greece>Balkans. From 600-300 BCE some Greeks migrated and established colonies along the Mediterranean coast of France (Agde, Marseille, Hyeres, Nice). The Greeks were primary E1b1b and J2, but a minority of G2a travelled with them (also J1, R1b-L23 and T) – we know this is NOT us. Then came the Romans who spent 500 years in Gaul. The Romans are thought to have belonged essentially to R1b-U152, with substantial minorities of E1b1b, G2a (primarily G2a3b1a), J1, J2 and T. Could this be a it? No again. NOTE: A Y-DNA (migrational) search begins by defining what you are not, so you can discover more about where your ancestors were. b) Anatolia to the Pontic Stepp and then later accompanying the R1b (Indo-Eurpopean) expansion to Gaul and western Europe. The Seither clade we fell into was G-L78. Since July 2013 when our test was run the volume of y-dna has exploded proving more detail. The ISOGG (International Society of Genetic Genealogy) provides details of the changes. New naming practices using SNP and reorganization means that our group is being more refined. We participated in further testing in November and were reported positive for a new sub-group or clade under the new naming protocol: G-Z2003 and Z2022). I bolded the SNP’s we’re positive for. You can find the world of G and our researcher here. The Proto-Indo-Europeans likely lived during the late Neolithic, or roughly the 4th millennium BCE. Mainstream scholarship places them in the forest-steppe zone immediately to the north of the western end of the Pontic-Caspian steppe in Eastern Europe. There are competing theories from linguists about the origin of the PIE people. View summaries here. This story continues to evolve, but the explosion of family dna is constantly re-focusing the narrative. We should expect further changes in the next few years. Next step – to determine which journey the Setter/Seder/Sitter/Seither clan took from the Pontic Steppe to Alsace. A chart I recently saw on Facebook (https://www.facebook.com/groups/g2a2b/687219754655258/) gives some location to a few of SNPS showing IndoEurpopean (CTS2488), not Alps/Eastern European; then Europe/India (L140) at 10,000 BC. This designation discludes Poland (L694), Iberia (M278) and Sardinia (Z6030). This process is more about what’s not, than it what is. But it’s helpful to know what not to focus on. We have a new researcher. The G groups are becoming more distinct and we are now in the G-U1+ Project. G-U1+ is 11,000-12,000 years time to common ancestor (TCA). See the chart here. 10,000-11,000 years ago the L13/L78 mutation occurred followed by the Z2022 mutation ([possibly 7000 years ago in the western Caucasus Mountains). Three thousand years ago, we have the Z2003 mutation that is predominantly Western European. We are currently testing for SNP’s that may bring us within 2000 years (Roman era) and STR markers that may indicate within 500 years. (1/25/15) We are projected to be among a Z2003 branch of L1263 (confirmed 6/2015). This branch is defined differently among researchers, which means it’s too early yet. However, here’s what’s out there. L1263 points to belt extending from Germany to England. Not very definitive but does point to a mutation 3000 years ago. (9/2015) L1263 is now known to have mutated 2600 (updated 12/31/16) years ago. And 1350 years ago the people split with some going to England and others staying on the continent. No one knows details yet but voyagers to England may have been with Saxons. Bill has been invited to participate in a more detailed study of L1263 men who did not migrate to England. This is a smaller group. Results and findings will take months – but may point to more specific information. We are now in the 700 AD window. (12/31/16) In the image above you can see L1263 splits between Z38846 and L1271. We are negative for L1271 (England) and positive for Z38846 (continental). This group has another mutation but we are negative for this mutation. Our most recent common ancestor is 1350 years during the time of the Saxon exodus to England. And during that time another branch splits off – so we’re looking at three distinct groups. More testing continues. We’re waiting others to complete a batch of tests. NEW THEORY 1/2017 – because speculation leads to disqualifications and verfications! The process of these tests makes me want to speculate. I want to explore that the Sitter/Setter line is Seubi. From the north before the Roman incursions, there were many islands of hidden farms within the forests of trees. Great farms that produced to maintain a vast society. Many changes came with the Romans, but let’s take a look at the image below. Centralized longstanding farming/warrior culture. A cluster of change (mutations?). Right now in Bill’s testing is a cluster of folks who all show minor changes. More people are needed to qualify the mutations, but a good hypothesis, I think.There are some great reads out there about tribes and Roman wars. Neckar Suebi is in a general region of our 1600 Sitter men. 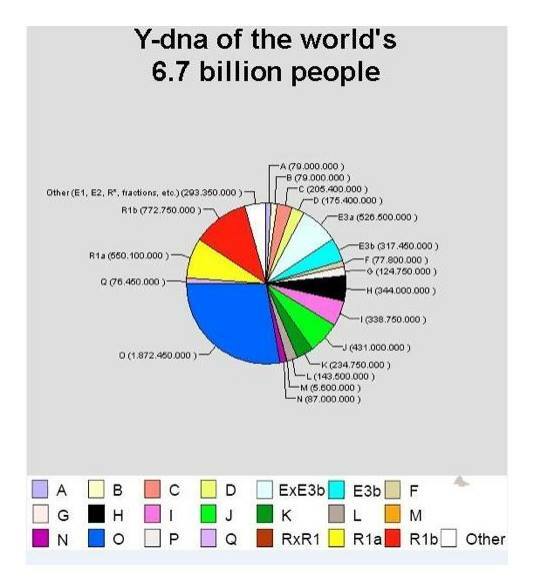 We dub the G-ydna as the “farmer” gene but it’s more complicated that. The Fertile Crescent is the region in the Middle East where the civilizations of the Middle East and the Mediterranean basin began. Early civilization and farming went hand-in-hand, and so did collective (localized) religious practices. Civilization brought concentrated populations and demanded ways for rulers to feed them. This led in many instances to subjugation and environmental abuses. Some groups of “farmers” who were also herders, started living farther and father away from the towns/city centers. Some of these fringe societies living off the land grew into unique insular cultures. These G-ydna circles of G can trace back to both Ashkenazi G-SNPs and Pontic-Steppe G-SNPs. Were they the same tribes at some point in time? Who knows at this point. From the Fertile Crescent we see a group of in G’s as part of the Sea Culture, landing at many points along the Mediterranean (not our SNP); others travelling through Anatolia to the Balkans (not our SNPs); some as Ashkenazi (not our SNP) and others moving north to Pontic-Stepp. Here we see our SNPs develop from U1 (splinters to Europe and Russia) to a European branch, Z2003 and L1263. L1263 is new so it’s not definitive. We know more but it’s still not clear. 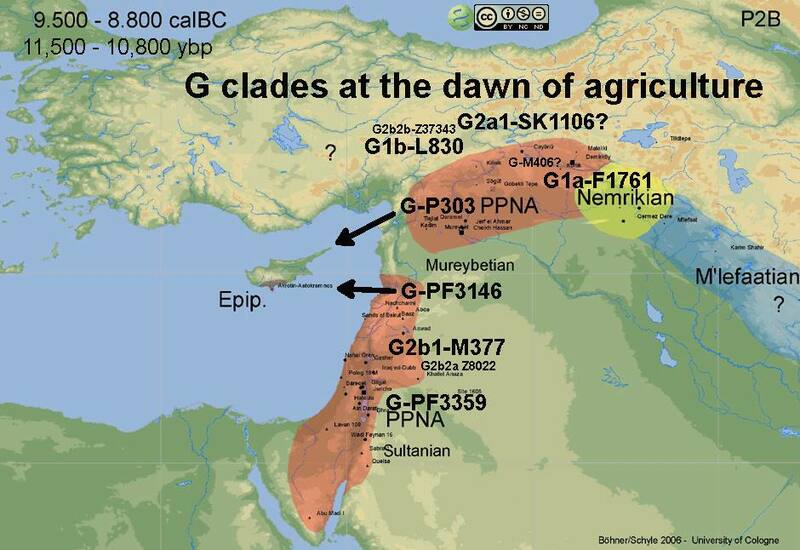 In the light of the new evidence from ancient DNA and the tMRCAs of the various G2a clades, …… , I think we can say that G2-P287 was almost certainly the major player in the Natufian Period in the Levant, from 14,700-12,800 BP. The Natufians were the people who first collected wild grain as a food source, and their PPNA descendants invented agriculture after the end of the Younger Dryas Period drought around 11,800 BP. The locus of greatest diversity of G2-P287 is in fact in the Levant right where the Natufians lived. All of G-P303*. 10,800 ybp is *exactly* when G-P303 began to rapidly break up into sub-haplogroups. At one end, we have a unique G-P303* branch, G-Z6030, in Sardinia, and at the other end, we have G-Z30523 among Brahmins of Tamil Nadu and Bengal. We know for sure these two branches have no SNPs in common below P303. By 10,400 ybp, G-L140 (G-PF3345) began to break up into many different branches. The expansion of G-P303 in those 400 years was *incredibly* rapid. Maybe 20 new G haplogroups were founded right then, in that short period of time, just a few generations of a *single family*. What made this happen? This is really helpful in understanding more clearly where the roots lie. Some P303’s become part of the sea peoples (Sardinian) but we do not have down-stream mutations that support this. 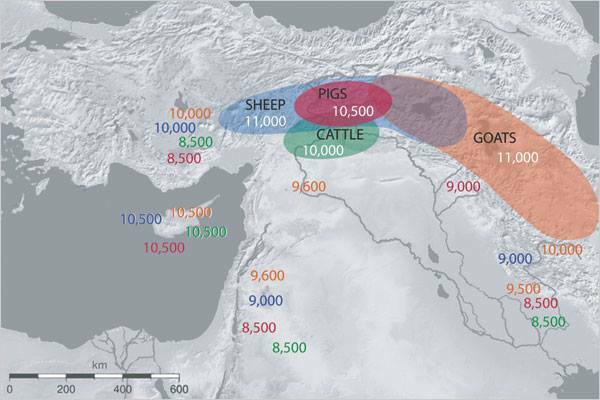 Pre-Pottery Neolithic A (PPNA) denotes the first stage in early Levantine and Anatolian Neolithic culture, dating around 8000 to 7000 BC.Archaeological remains are located in the Levantine and upper Mesopotamian region of the Fertile Crescent. The time period is characterized by tiny circular mud brick dwellings, the cultivation of crops, the hunting of wild game, and unique burial customs in which bodies were buried below the floors of dwellings. The Pre-Pottery Neolithic A and the following Pre-Pottery Neolithic B (PPNB) were originally defined by Kathleen Kenyon in the type site of Jericho (Palestine). During this time, pottery was not in use yet. They precede the ceramic Neolithic (Yarmukian). PPNA succeeds the Natufian culture of the Epipaleolithic (Mesolithic). READ MORE HERE. Pre-Pottery Neolithic B (PPNB) indicates sedentary grain lifestyle now supported by domesticated animals. We know that our mutation begins to be located north of the crescent and evolves to a herding nomadic existence. Still waiting on results of the new tests. 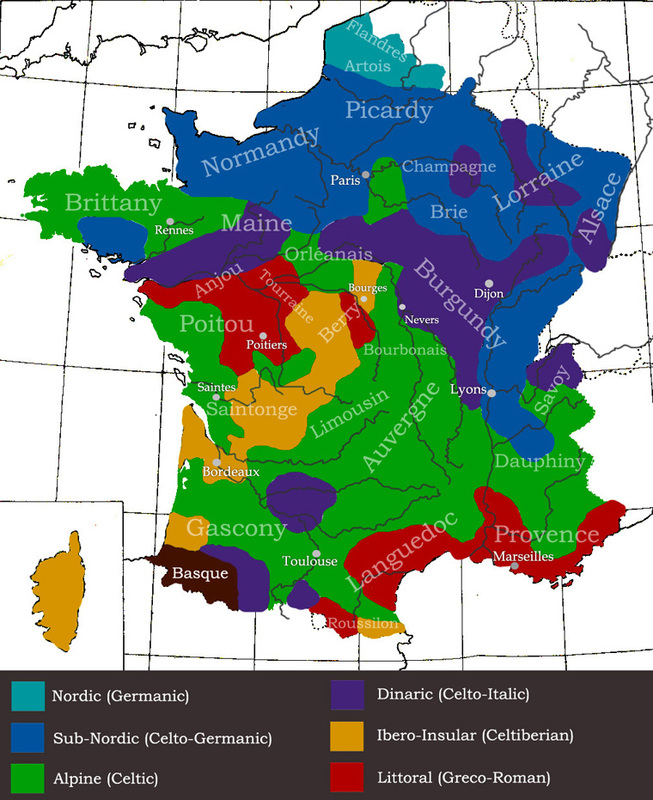 Ran across this image that show the different areas of France and the migration attributed to the area. Alsace is characterized by Sub-Nordic Celto-Germanic and Celto-Italic. G2a SNP’s indicate a strong Sardinian presence that sweeps north, but we have not tested positive for the newer SNP’s that confirm this. Some continental Celtic tribes mixed with some Germanic tribes in reaction to both Roman and other Germanic threats. Alsace language is unique to German and French and is the root of the Allamani – all men – a consolidated tribe. If we look at this from a language profile, Alsacian dialect is rooted in Allemannic. 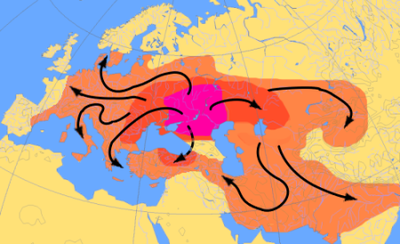 Following an Indo-European language chart, we see language branch out as Anatolian, Allemannic falls under an Upper German with Austro-Bavarian, Cimbrian, and Swiss-German. Again, this doesn’t point specifically to an answer but narrows the field. Johann Nicolas Sitter (1768-1820) was born in Zillingen (later Zilling) at a time when the community served as a French battle plan camp (1756-1763) during Seven Year War between the allies of France/Austria/Russia against Frederick II and Holy Roman Empire (Germany states). Nicolas’ great and great-great grandfathers shared a similar scenario when they were members of the the Lutzelstein community (the pass through the Vosges Mountains connecting Lorraine and Alsace). The French, in 1681, after building “the road” through areas just south of Hangviller, Zilling and Wintersbourg, attached Lutzelstein to France, renaming it La Petite Pierre. This is actually the point in time when Sitter’s became part of France and remained so until they emmigrated to Canada. Following the Seven Year War, Lord Michel Elvert of Zilling had plans to deforest an area at the edge of Zilling. A man by the name of Sitter was the appointed warden of the forest (Interestingly, I found a reference to the name Sitter meaning by edge). The villagers protested and the plans were held up for two years before in 1788, the area was deforested. I could not find any other details on this. The deforested land was left the villagers who early shared and farmed the land. This information warrants closer examination. But our region was inhabited much earlier: The “Seeb” or “Mardelles” had established their stilt houses to better protect themselves. There were also traces of Roman colonization: in 1892, it was discovered near the Zinsel a Roman cemetery with the remains of bones, pottery, glass and zinc advanced javelin. A collapse of the Roman Empire, the Franks have set in our area, mingling with the ancient population called “Walen” or “Walchen”. Around the year 1000, the village belonged to the Duke of Bar, later it depended on the Abbey of St. Mihiel (Meuse) and, in 1285, the Vergaville convent near Dieuze. He was then divided between the Castle of Knights and Lords of Lutzelbourg Hérange. In 1460, Count Palatine acquired 2/3 of the village he incorporated the County of La Petite Pierre, the rest went to the Lords of Bourscheid. The French Revolution put an end to this situation. In 1556, Count Palatine introduced the Reformation and its dependencies and Zilling became a Protestant village. In 1661, Louis XIV purchased the “Route”, a wide corridor that would lead in Alsace. Zilling shared the fate of the County which was annexed to Alsace in 1682. After the Revolution, by a decree of the National Assembly Zilling was detached from the villages “Krumm Elsass” and attached to the Meurthe and later that of the Moselle.